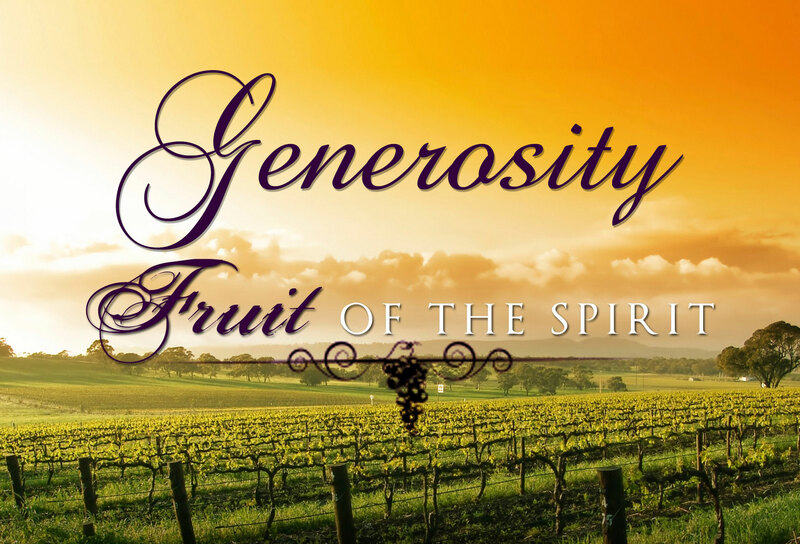 FRUIT OF THE SPIRIT: Generosity. It is often said that the United States of America is a generous nation full of generous people. According to nptrust.org, 95.4% of households within the United States give to charity and the average household gives an average of $2,974 per year. What’s more, Americans gave $358.38 billion in 2014. Corporations gave a total of $17.77 billion in 2014 and foundations gave $53.7 billion. As can be seen in the statistics above, Americans give billions of dollars a year to charity. Out of our wealth, generally speaking in comparison to much of the world, there is no doubt that we Americans give a ton of our money away; however, that is not the only measure of generosity. The Apostle Paul is not merely meaning that we Christians should be financially generous, throwing tons of money at charitable organizations; rather, generosity is a way of being and it involves much more than just our money. Generosity includes how we view and treat others. It includes mercy, justice, humility, and meekness as well. If we truly want to look to someone to show what it means to be generous, why not look to Jesus of Nazareth, the Christ. He was somebody who did not have a whole lot of money to give, but was about as generous of a person one can think of. Where he lacked in money, he was rich in many other things. He gave of his time, his talents, his heart, his energy, and his life. Jesus took the time to listen to people, to have compassion on them, to spend his days and nights caring for them and teaching them to do the same. He healed people, sought justice out for them, engaged people (even if they were out to entrap him), and he forgave people for inflicting harm against him. In one short but totally true pronouncement, Jesus gave it all. He spared no expense, including the expense of his own blood, in order to see the arrival of the Kingdom of God through. Paul is teaching us that, if we are filled with and guided by the Holy Spirit, we will be just as generous as Jesus was. We will learn to give our all so that others might experience the hope, healing and wholeness that we experience. If we are truly generous we will not only give our money to things, but we will be deeply engaged in the seeking out of social justice, we will be deeply engaged in loving and showing mercy to others, we will be deeply engaged in spending our time with others and invest ourselves in ushering the same Kingdom that Jesus opened the doors to nearly nearly 2,000 years ago. Be filled and be transformed with God’s Holy Spirit so that you might bear the spiritual fruit of total generosity in your life. Lord, sow the seed of radical generosity within my heart so that I may bear that fruit in my life. Amen.